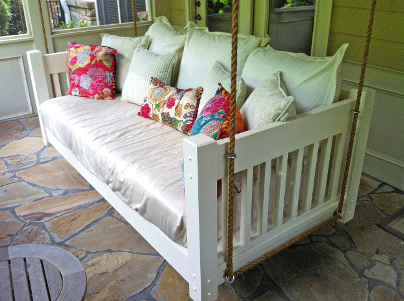 Your PORCH bed WILL be ready within 2-4 weeks! 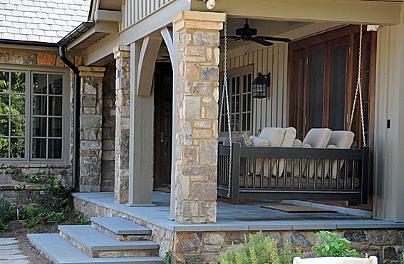 We are located south of Atlanta. 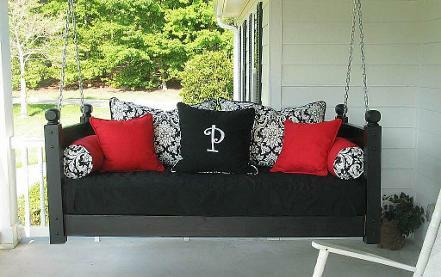 We can deliver in the southeastern United States. 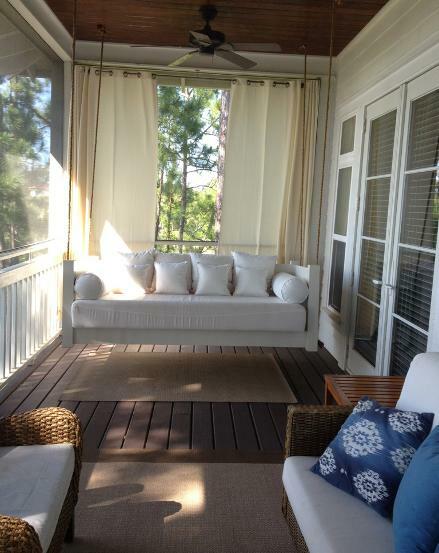 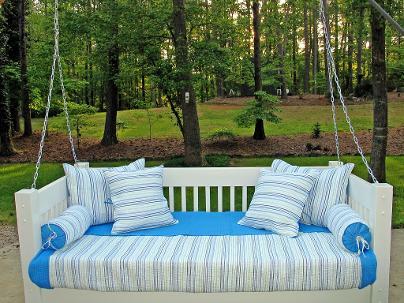 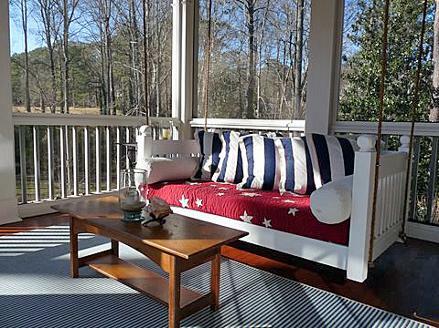 The Colonial Hanging Porch Beds look great on an open air porch or in a screened in porch. 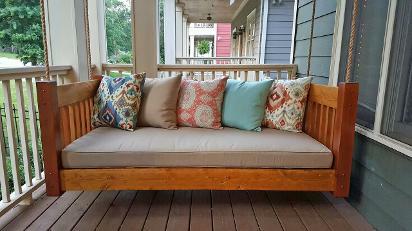 If using your bed on an open air porch (like the one above), you will want to purchase a plastic cover for your mattress so that it doesn't mildew. 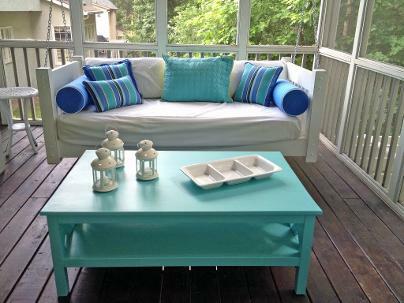 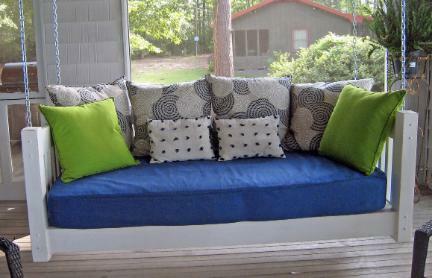 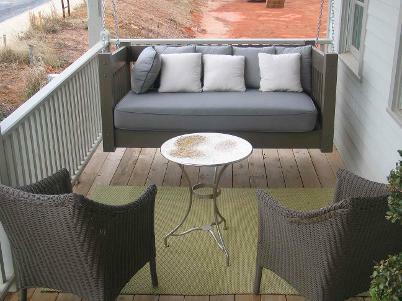 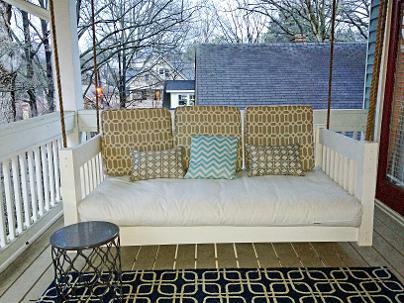 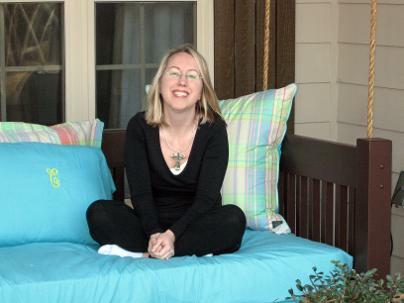 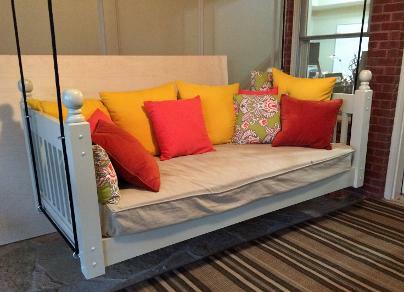 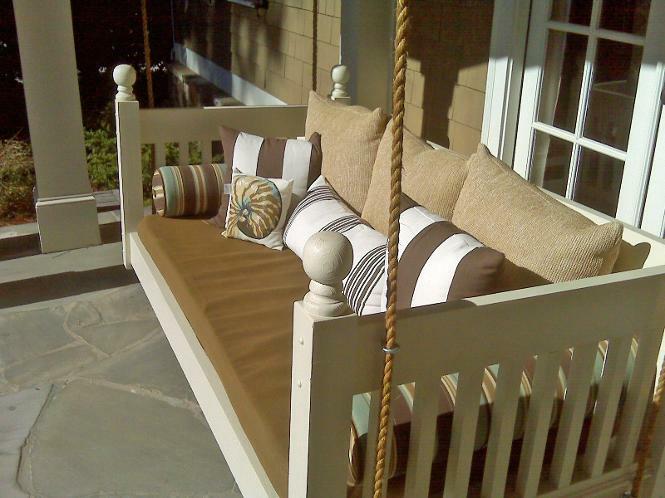 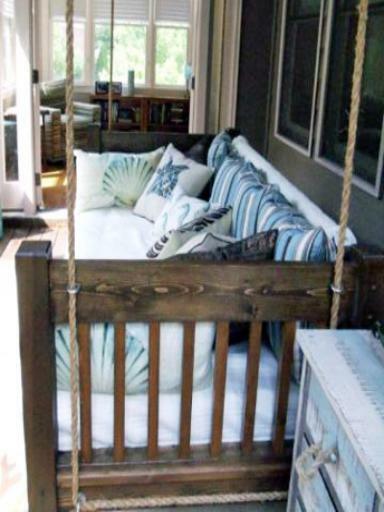 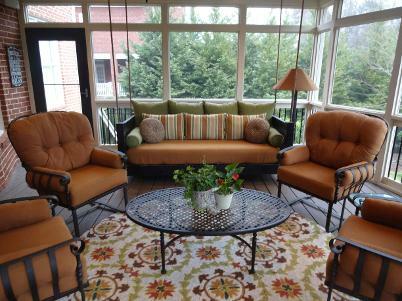 Your porch bed can hang alone in a smaller space, or be the center piece on a larger porch. 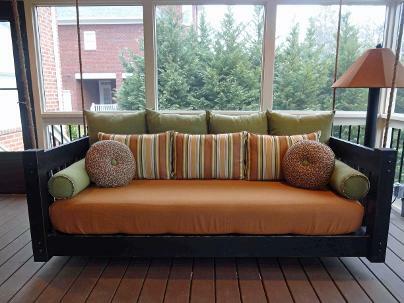 Either way, it will be your favorite place to lounge and a conversation piece for guests.